Ashley Carman at the Verge has the story about the renewed patent wars involving Apple, Nokia and PAEs (Patent Assertion Entities) in Apple and Nokia are fighting about patents again. In our previous posting our topic was Newspapers, News Media and Biased Reporting : How Can We Get the Real Facts? Let us now take a superb case of real NEWS in point: the December 18, 2016 CBS "Face the Nation" statements of foreign policy sage and former U.S. Secretary of State Henry Kissinger about U.S. President-Elect Donald Trump. THAT's the NEWS. What KISSINGER said, and not opinions about what he said. "Donald Trump is a phenomenon that foreign countries haven’t seen. So it is a shocking experience to them that he came into office, at the same time, extraordinary opportunity. And I believe he has the possibility of going down in history as a very considerable president, because every country now has two things to consider, one, their perception that the previous president or the outgoing president basically withdrew America from international politics, so that they had to make their own assessment of their necessities, and, secondly, that here is a new president who is asking a lot of unfamiliar questions. And because of the combination of the partial vacuum and the new questions, one could imagine that something remarkable and new emerges out of it. I’m not saying it will. I’m saying it’s an extraordinary opportunity. I think he operates by a kind of instinct that is a different form of analysis as my more academic one, that he’s raised a number of issues that I think are important, very important and, if they’re addressed properly, could lead to -- could create results." Now that is what KISSINGER said about Trump. At "The Hill", Rebecca Savransky has a nice bit of NEWS reporting in: Kissinger calls Trump a 'phenomenon that foreign countries haven't seen'. This short piece gets the essence of Kissinger's major statements. Reena Flores at CBS News on the other hand has a headline that shifts the reader's attention "politically" to another topic also touched upon by Kissinger. Her headline for a report on that very same CBS Face the Nation is: Henry Kissinger says "I hope we're doing some hacking" in Russia, which takes the entire CBS Face the Nation discussion of that topic out of context, because Kissinger states clearly that all governments are hacking and that the real issue is what they do with their so obtained information. Worse, the reporter moves Kissinger's statement about Trump as a phenomenon further down in the article and does not assign to it the importance it deserves as NEWS. The effect of this article on the reader is to obfuscate the actual things that KISSINGER says and to elevate a political view about Russia's hacking to the foreground. This CBS piece is thus NOT good NEWS reporting. "Everybody has the hacking capability. And probably every intelligence service is hacking in the territory of other countries. But who exactly does what, that would be a very sensitive piece of information. But it’s a very difficult to communicate about it, because nobody wants to admit the scope of what they’re doing. And I don’t doubt that the Russians are hacking us. And I hope we’re doing some hacking there. Then what use you make, whether it’s a hostile use, that then becomes an international problem." In any case, putting "hacking" in the foreground is simply a "political" choice. Keep an eye on what other news media report about Kissinger's statements. One can quickly tell what "slant" on the news is important to a given reporter or newspaper or other media outlet, quite apart from reporting correctly the important things that a foreign policy expert such as Kissinger actually said, and quite apart from whether one agrees with Kissinger or not. The point is what did KISSINGER say. That's the "real" NEWS. FIRST, report what the actual NEWS is. That is the main job of the news media. LATER, one can offer one's own opinions about it. That latter is the newspaper columnists "opinionating", nothing wrong with that, but that is not "the real NEWS". Hat tip to CaryGEE for calling attention to Kissinger's statements. What's the most neutral news/media outlet on earth? Too often, what readers "want" to read prevails over what should be read. "Is this an overblown balloon to sell newspapers?" Over the years, we have developed a habit of reading most mainstream news, science reports and similar publications with a grain of salt. What is touted as important news can often be nothing more than a whistle against the wind. Mainstream media today often no longer deliver "the news that is fit to print" but rather they propagate their own brand of biased "slants" on the news, a completely different animal than neutral fact delivery. One sees this currently in news reporting about U.S. President Elect Donald Trump, where often politically biased futuristic crystal ball tea-leaf reading prevails among many journalists, who know no more than anyone else about what Trump's Presidency will actually bring. Contemporary news media do not just report that e.g. "this happened"; rather, mostly they report on what happened that "they think is important", and then "their take on that happening" and, usually prematurely, "here is what it means" -- conclusions, which, by later hindsight, can be totally false. That results in widespread news unreliability and event vacuousness. The news media too often act like hired advocates for the political, economic, legal and social causes that they personally support, while they conversely oppose "news" that does not fit into their particular way of looking at the world. That "politically correct" approach to news quickly becomes "boring" and suspect to this observer. Tea-leaf reading in the news can leave the reader to emerge not knowing more than he or she did before, and one can even be badly misled. In any case, since we are political centrists interested in unbiased presentations, the proliferation of biased, slanted news makes getting the "real facts" difficult. Our own solution is to read as many different newspapers, news media reports and op-eds as possible about any subject that interests us, also from different countries and from varied points of view, in the hope that a broad selection of sources will provide a clearer picture of actual events. Indeed, it is then always amazing to see how greatly the media presentations of so-called "facts" can vary depending on the source, even among English-language media sources. We do not even go into the many foreign-language newspapers, where even greater variety of reporting will be found. Newspapers are still a big deal but are losing ground to newer media. See a recent list of the Top 200 Newspapers in the World. What the CRISPR Patent Dispute is All About is discussed by Jacob S. Sherkow at the Guest Blog at the Scientific American. Take a look there at some of the absurd and shameful issues that dismal patent granting have generated. And the answer, in our opinion ... is ... that none of the purported "inventions" in the CRISPR disputes are or should be patentable inventions, because nothing new has been invented per se. CRISPR means "Clustered Regularly Interspaced Short Palindromic Repeats" and they are there by NATURE, not by man-made creation. "CRISPR is far better than older techniques for gene splicing and editing. And you know what? Scientists didn’t invent it." That's right, it is a NATURAL gene mechanism, a product of nature that scientists are merely exploiting, that is all. Patentable in any way, shape or form? NO, not in our book. Just read that whole Gizmodo article and now ask why anyone should be able to get any kind of patents on CRISPR, which scientists are EXPLOITING, not inventing. Just imagine patents on the way you could cut cloth or anything else with scissors. Or imagine your local butcher being limited by patents on how to cut meat. Or ponder patents for the way in which loggers would be allowed to cut trees. That is the game being played in the biological sciences. The whole CRISPR dispute is ridiculous and anathema to the human spirit ... materially greedy people and institutions battle increasingly over who gets the massive monies that very wrongly granted patent monopolies generate -- not just on splicing and editing genomes, but also on products with rounded corners, etc. Patents these days are not a matter of rewarding inventors fairly, but rather mean primarily the grant of extensive monopolies to persons or institutions, whereby those patents then create vast accumulations of wealth far beyond the benefits that any development they made actually provides to society. Indeed, almost all of these purported "inventions" are nothing more than obvious steps taken on the basis of the constantly expanding state of the art, especially in the biological sciences. OBVIOUS STEPS. That is why often multiple people often perceive next step developments at nearly the same time, because they are researching in obvious directions, directions that are obvious given the state of the art. And what is obvious is not patentable. Let us ask this question -- in what dream world do some judges operate? especially at the U.S. Court of Appeals for the Federal Circuit (hereinafter "Federal Circuit"). If it were up to the Federal Circuit, no one could sell a refurbished "used car" because it would surely violate someone's patent rights. These apparently incompetent judges must be kidding. For many years there was a telecom monopoly in Germany that sold printer ink cartridges specially designed by a major printer manufacturing company for their '"proprietary" OEM-made hardware. Only those special cartridges could be used in that telecom hardware. One day a normal computer company -- no longer in existence -- discovered that these cartridges were -- with one exception -- in fact identical to equal-volume retail cartridges made by that same major printer manufacturing company -- but were being sold at FOUR TIMES the already VASTLY INFLATED price being charged by that major printer company for those retail cartridges. Only a small intentionally placed plastic protrusion prevented the special and retail cartridges from being interchangeable. As the computer company discovered, that protrusion could easily be filed away, leading to a 75% savings. Massive amounts of profit have been made in past decades by virtually criminal tricks rampant in the printing industry and elsewhere -- by which consumers have been bilked out of billions, all because of inane patent law interpretation by clueless judges at courts such as the Federal Circuit, also overseas. "Print cartridges, not the printers themselves, are typically the source of printer companies’ profits. It shows in the prices. Consumer Reports magazine found in 2013 that you could buy 2,791 gallons of milk or 2,652 gallons of gasoline for the same price as a gallon of ink." Printer ink is nowhere near that valuable. What printer companies have done is to manufacture their printers so that they only work with "proprietary" ink cartridges. These proprietary cartridges are patented by the USPTO and similar clueless patent bodies without critical review. Of course, these are not "inventions" or "designs" worthy of patent protection at all. Rather, such special cartridges have the sole purpose of preventing other companies from making ink cartridges that can be used in a given printer, so that proprietary ink cartridge prices can be hiked to astronomical -- monopoly -- levels. Another major printer company now wants to stop the much cheaper use and resale of ink cartridges as a patent infringement of their -- surely wrongfully granted -- patents. The clueless judges in the Federal Circuit have said this is OK.
Well, if you can't resell ink cartridges then you can hardly resell refurbished used cars, now can you, that are loaded with all kinds of patents -- many more patents than for ink cartridges. The argument that "first sale" applies only to copyrights and not to patents is thus rendered as absurd at is. Only the Federal Circuit would buy such nonsense. It is the job of the U.S. Supreme Court to remove these absolutely ridiculous "windfall profit" patent-trolling schemes from the law and to clearly establish the first sale doctrine as applicable to patents. It is not the job of the courts via patent law to serve as handmaidens to monopolies of hawkers of wares and thereby in effect to force consumers to buy specific products because they have no other options. Quite the contrary. Competition must rule the field and monopolies must be destroyed. That is capitalism. Monopolistic ink cartridges are not inventions or designs, rather, they are simply mockeries of the failings of the patent law system, and of its judges. What about that Federal Circuit and its judges? What is their problem? If we go by U.S. Supreme Court reversal rates, The U.S. Court of Appeals for the Federal Circuit (hereinafter "Federal Circuit") is arguably the worst federal Court of Appeals in the land, being the most reversed appeals court. See Roy E. Hofer, Supreme Court Reversal Rates: Evaluating the Federal Courts of Appeals. Three recent Federal Circuit decisions only confirm that bottom ranking. Example 1. The Federal Circuit's calculation of patent infringement damages is contrary to both law and common sense. The U.S. Supreme Court just reversed them UNANIMOUSLY. See our previous posting. Example 2. The Federal Circuit is a court that does not learn. 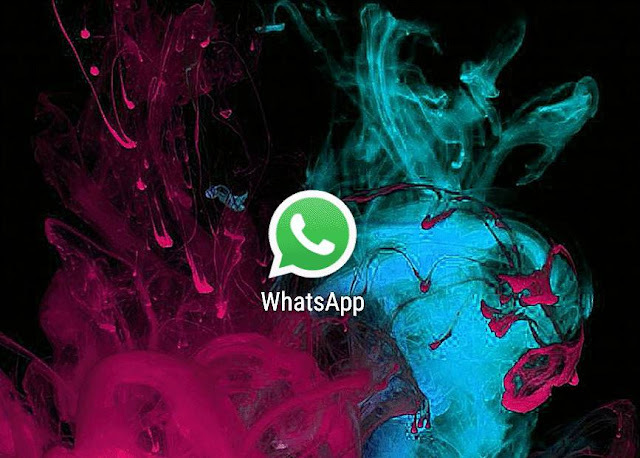 The Federal Circuit in a bizarre series of events recently confirmed a verdict for damages and upheld absurd Apple patents for "slide-to-unlock", "spell correction" and "identifying items within text such as telephone numbers or dates". As reported by Professor Dennis Crouch, the Federal Circuit in a 3-judge panel initially decided the case [correctly] by throwing out a district court patent infringement damages verdict and invalidating two of three Apple patents and holding that the third patent was not infringed. See Federal Circuit: Apple’s Slide-to-Unlock Patent is Invalid. That 3-judge panel decision was then reversed recently out of the blue by a surprise Federal Circuit en banc ruling, as reported by Crouch in It is Improper to Consider Extra-Record Claim Construction Evidence On Appeal. As Professor Crouch writes: "the en banc found that the original panel had improperly considered “extra-record extrinsic evidence to construe a patent claim term.”"
"Extrinsic evidence"? Surely that is a joke. That is how $100 million are treated at the Federal Circuit. Like a juggling act. Here today. Gone tomorrow. Here today. After all, it is not their money. It is like play money to them. That lack of judicial seriousness is apparent in their "inner-court-workings". We exclude Chief Judge Prost, Judge Dyk, and Judge Reyna from that statement. THEY seem to be the only ones on the ball at the Federal Circuit. See below. Professor Crouch discusses the MAJOR issue here -- in our opinion -- which is that something appears rotten internally at the Federal Circuit. "The en banc opinion judgment here was [8-4 is struck out and replaced with 8-3] with Judge Moore authoring the 7-member majority opinion; Judge Hughes concurring in judgment but without authoring any opinion whatsoever; The original panel members, Chief Judge Prost, Judge Dyk, and Judge Reyna each dissented and each authored their own opinions; and Judge Taranto not participating. Judge’s Prost and Reyna also agreed that the majority’s application of the law in this case is inconsistent with Supreme Court precedent." Accordingly, also this en banc decision of the Federal Circuit would surely not pass Supreme Court scrutiny. Something appears to be amiss at the Federal Circuit. A power struggle? Outside influence? "The U.S. Supreme Court on Friday agreed to decide whether a company that sells its printer cartridges subject to a bar on their reuse or resale can invoke patent law against a company that violates the restriction. At issue is whether the restrictions imposed by Lexmark International bypass the general rule that a patent holder’s rights extend only to the first sale of its product, SCOTUSblog reports. The general rule is known as the patent exhaustion doctrine." Let's be frank. For years we have argued that the Federal Circuit should be disbanded by Congress. The Federal Circuit causes far more harm than good to the nation -- it is the main cause of the incredibly costly patent wars -- and its establishment as the court of expertise for patents was a great mistake. We wrote about this Apple patent trolling case eons ago and of course are not surprised, as reported by Debra Cassens Weiss at ABA Journal, that SCOTUS overturns Apple's $399M award against Samsung for smartphone infringement. The decision was UNANIMOUS in an opinion written by Justice Sotomayor. Again, we were right all along on the patent issues, and the Federal Circuit, you guessed it, was wrong again. The Patent Windfall Profits Games and Samsung Electronics Co. Ltd., et al. v. Apple Inc., No. 15-777 in U.S. Supreme Court Oral Argument. "The only way for the broken patent system to be corrected is by Congressional legislation and/or a Supreme Court decision requiring or holding that anything that derives normally from the state of the art is OBVIOUS, and that damage awards for any patent infringement must consider awards in light of the total number of patents residing in any tech gadget, thus reducing patents to the actual value of the invention as it is incorporated into a tech gadget." Companies such as Apple will now increasingly have to return to the idea of making money by selling competitive wares rather than by trying to patent-litigate their arch competitors into oblivion or by trying to make massive amounts of money through windfall profts gained by patent trolling. Via Archaeo-News at StonePages.com we have been alerted to a developing story of a fairly recent potentially significant find made in a plowed field in Cambridgeshire, England, United Kingdom. We refer to those two particular reports because each has a slightly different photograph of the torc, which was useful to us for counting "torc twists". rather than on analytically important torc ESSENTIALS such as the LENGTH of the torc -- a measurement length nowhere to be found in sources thus far published, as far as we can tell. Accordingly, we had to estimate its length ourselves by using the photographed gloved hands holding the gold torc as a guide, presuming a woman's hand/glove-length of about 6 modern inches and apparently about 7 such hand lengths in the round of the torc for a potential total of somewhere around 42 modern inches as the length of the twisted part of the torc. The Guardian quotes Neil Wilkin, Bronze Age Europe Curator at the British Museum, as saying that "If you take callipers, and measure the gaps between the twists, they are absolutely spot on accurate." "The torc is thought to have been worn as a belt over clothing, as part of animal sacrifice or even by pregnant women in fertility ceremonies." The fertility explanation caught our eye because we subsequently did go to the trouble to count the number of "twists" in the photographs available at the above sources -- a count nowhere found in any of the sources. By our count there appear to be 270 twists.... Why such accurate twists? The 270 twists -- assuming a six-inch gloved hand as noted above -- could perhaps make for a Cambridgeshire Gold Torc length of about 45 modern inches or about 55 megalithic inches. The standard "ell" in England was 45 inches. If the delayed mainstream measurements of the actual torc length actually mesh in any way with our cogitations -- regardless of any other calculational or "fertility" uses the gold torc may have had -- it seems a bit short for a "jump rope" -- then this torc may have been so created in gold to represent a "standard" ell in Ancient Britain, or, should the length of the gold torc be even longer than we have estimated, perhaps even something like the "King's ellwand" or an ancient British ell-version of a longer "royal cubit". "In England, the ell was usually 45 in (1.143 m), or a yard and a quarter. It was mainly used in the tailoring business but is now obsolete. Although the exact length was never defined in English law, standards were kept; the brass ell examined at the Exchequer by Graham in the 1740s had been in use "since the time of Queen Elizabeth". The Viking ell was the measure from the elbow to the tip of the middle finger, about 18 inches. The Viking ell or primitive ell was used in Iceland up to the 13th century. By the 13th century, a law set the "stika" as equal to 2 ells which was the English ell of the time. An ell-wand or ellwand was a rod of length one ell used for official measurement. Edward I of England required that every town have one. In Scotland, the Belt of Orion was called "the King's Ellwand"." It is therefore also possible that standard land survey measurement ells viz. "ellwands" in Ancient Britain, Scotland and Ireland had their astronomical comparables in terms of sky measurement "sticks" or "torcs". 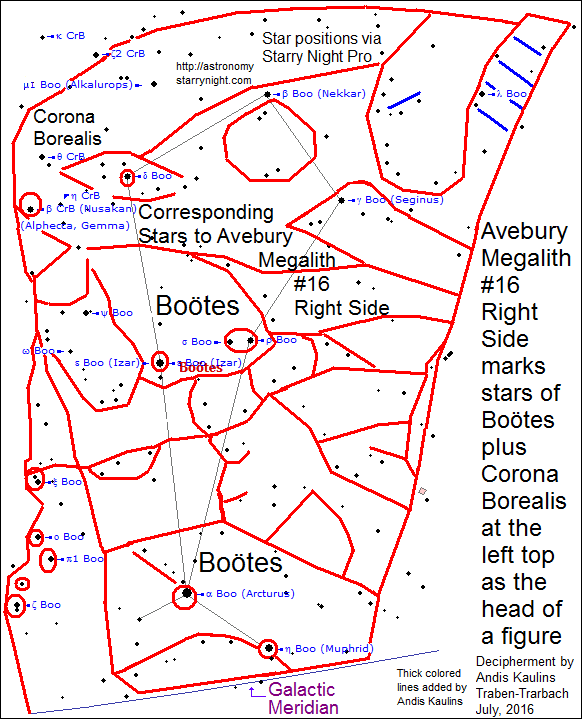 We had hoped, for example, to find comprehensive mainstream archaeological measurements online of the width and height of the Avebury stones in order to see whether their dimensions correspond to some standard length of measure for measuring the distances between stars, but we have found nothing. Looks like we will have to take another trip to the UK and see what we can do. Want to try your hand at deciphering? This page gives you a nice opportunity. Not only did the ancients provide us with stones carved with figures, but they also interspersed veritable sky maps for us, carved on stone. The ancients created such maps not only by carving figures imagined "in the sky" onto the stone, but also by carving holes or "cupped" indentations in the stones, called cupules or cupmarks. Each hole or indentation represents a particular star. The relative sizes of the holes or indentations often mark the relative brightness (magnitude) of the stars being portrayed, but because of differing erosive and other forces, size can be a variable and is not always reliable. 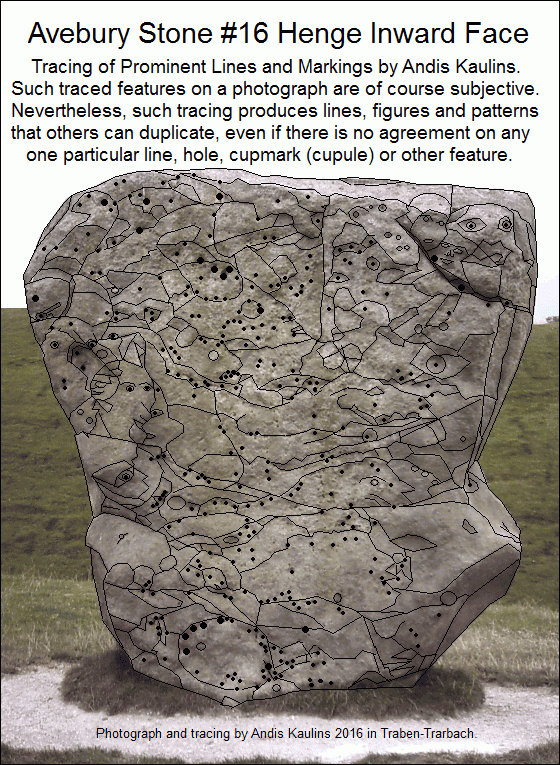 Mainstream scholars "think" that such indentations or holes such as on the henge inward face of Avebury Stone #16 are "naturally caused" and are not man-made. "Think" is not the right word for what the scholars up to now have done. "a belief that something is true even though it has not been proved". 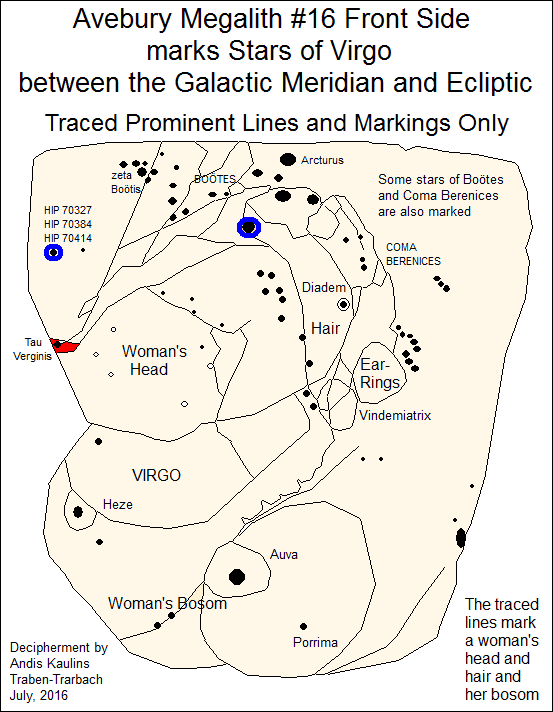 As we show here, such markings on megaliths are often man-made, though of course one would expect that natural markings on stone were also used or integrated into carvings if they fit the astronomical picture being represented. 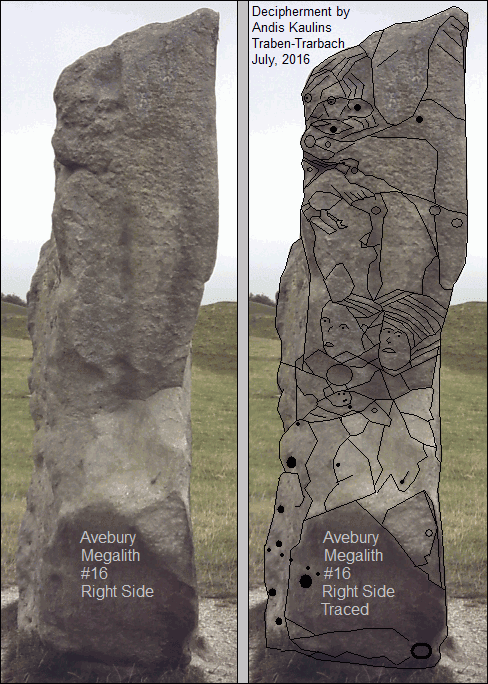 The henge inward face of Avebury Stone #16 is a good example of holes viz. indentations that were intentionally made by the ancients to represent stars. 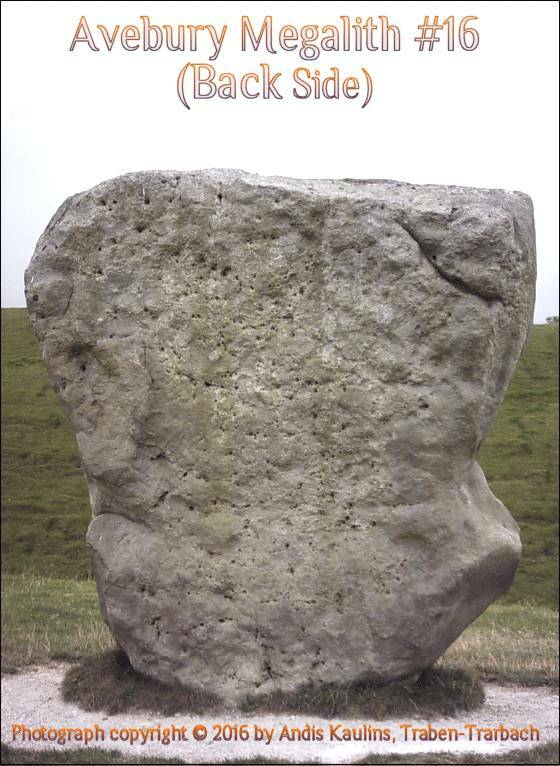 We know from previous decipherments of stones at Avebury that the henge inward face of a stone marks stars above those marked on the henge outward face. 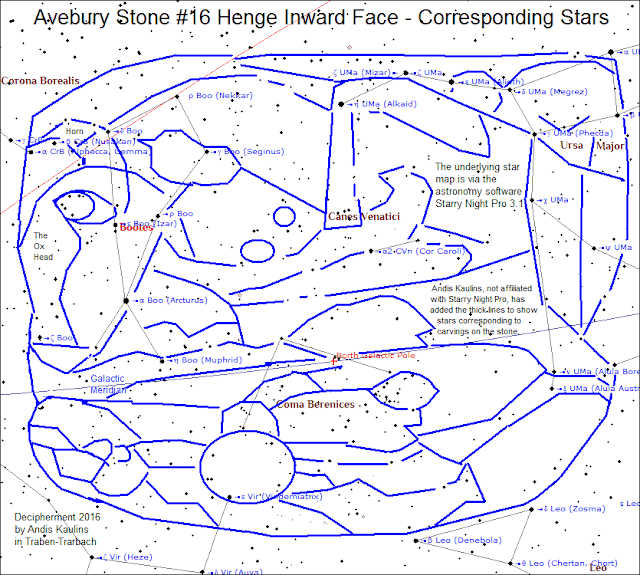 Since we have deciphered the henge outward face of Avebury Stone #16 to mark stars of Virgo, we know that the above inward face must mark stars above Virgo, but it is always an adventure to discover which stars those are. 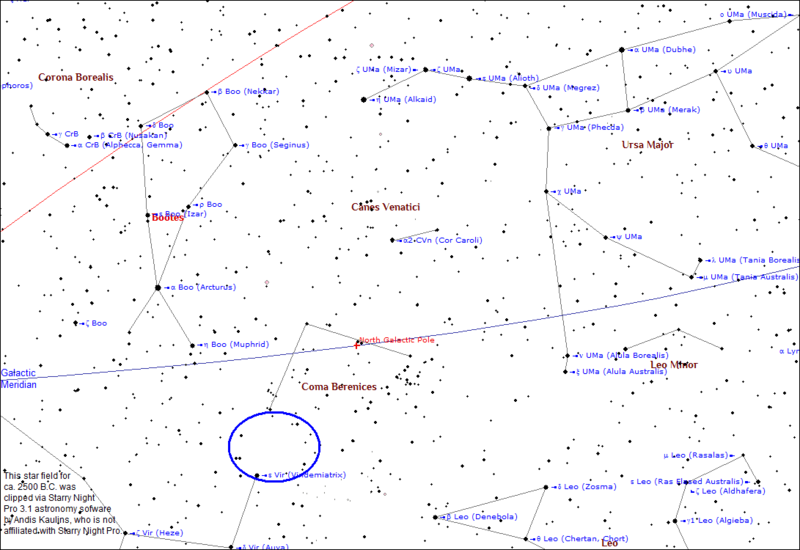 Accordingly, we provide below an appropriate "star field" of stars above Virgo clipped via the astronomy software Starry Nigh Pro 3.1 (starrynight.com). This is your chance, would-be decipherers! 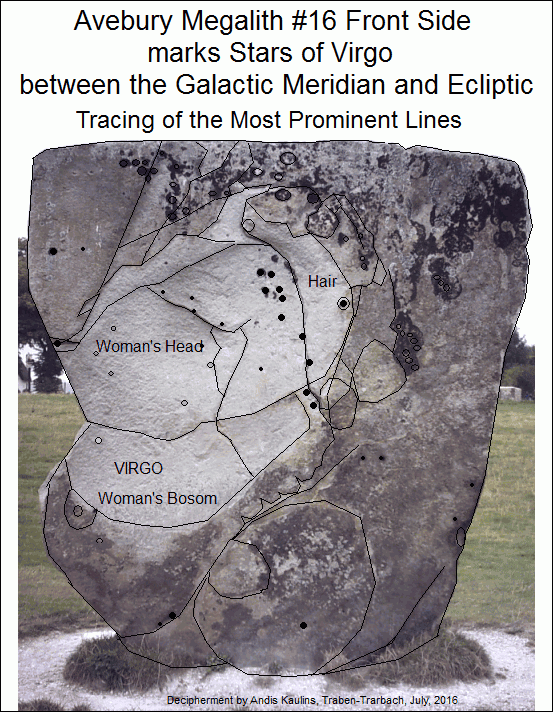 You can test your own analytical and observational skills by trying to discover which stars from the above star field are marked on the henge inward face of Avebury Stone #16. We have marked the most prominent circle of stars to give you a fair start, because that is our method of proceeding, by identifying one or two main features that appear to be certain and going from there, but be careful here, because our previous finding -- that most Avebury stone markings match the sky closely in terms of the true relative distances of stars -- does not work here, and that is the second decipherment hint. Form yes, distances no. We provide our own "decipherment" of the henge inward face of Avebury Stone #16 further below, but if you do not look beyond the star field image above, you can try out your own decipherment before looking at our below solution. You might even try retracing the most prominent lines on the stone, fewer than we have, and your results may be even better. Try it out. Looking left is a head at Boötes that is the horned head of an ox, which is the classical animal identity (ox, horn) assigned to Boötes in antiquity. See Richard Hinckly Allen, Star Names, Boötes, starting in that book at page 92. The stars of Ursa Major, Canes Venatici, and Coma Berenices are otherwise all carved as birds, with Coma Berenices as a bird head extending clear across the stone, looking right. One can also see that the ancients carved the entire stone as a human head, grimacing, that is looking left at Boötes with a kind of tassled hair bun to the right at Ursa Major. We already saw that grimace on the left side of the stone. What made this particular decipherment difficult was the fact that the stone carvings do not keep the proportions of the sky but compress them narrower in breadth. We hope that remains an exception for other Avebury stones. If you had the courage to try to decipher this henge inward face of Avebury Stone #16 on your own, how did you do? Not as easy as you thought, was it? We hope through this exercise to show how difficult it can be to reconstruct the manner in which the ancients carved these stones. Moreover, you, the reader, already have a great advantage over normal decipherment work. We have shown you which region of the sky of stars is involved and have given you a sure starting point in those stars. Without such helpers, which is the normal situation, deciphering the henge inward face of Avebury Stone #16 would be extremely difficult and, indeed, it took us a long time to figure it out. 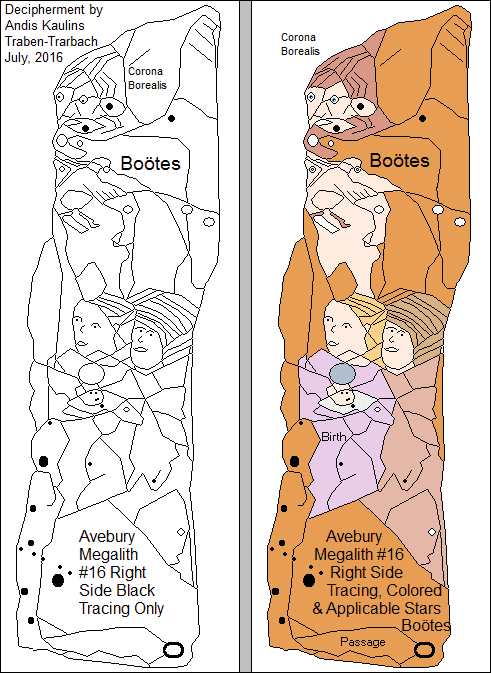 The right side of Avebury Stone #16 marks stars of Boötes plus Corona Borealis to the right of the previously deciphered Virgo on the henge outward face of Avebury Stone #16. 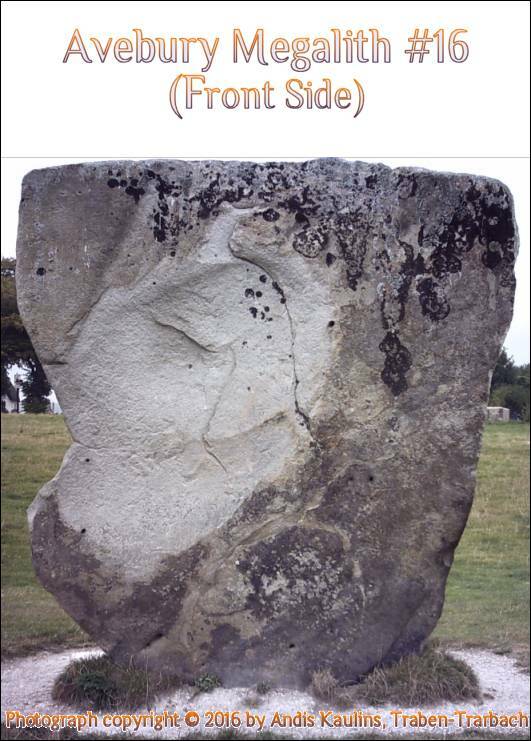 The narrow left side of Avebury Stone #16 (looking henge outward) marks stars to the left of the previously deciphered Virgo on the henge outward face. 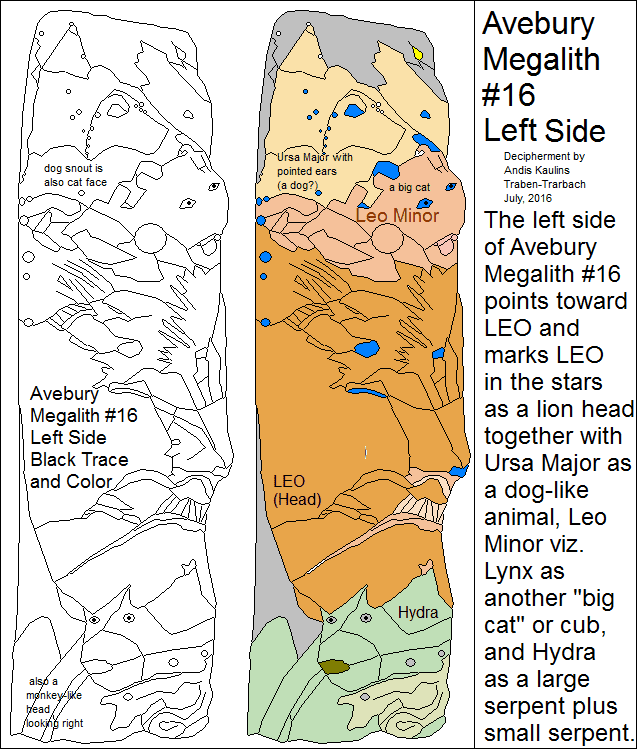 The left side of Avebury Stone #16 points toward Leo and marks Leo in the stars as a lion head together with Ursa Major as a dog-like animal above it, plus Leo Minor viz. Lynx as another "big cat" or cub, and below Leo there are stars of Hydra marked as a large serpent plus a smaller serpent. We wrote a preface to this posting -- doing so in part to ward off any misguided actions by or comments by others about what our objectives are in these postings, which is to decipher figures carved on ancient stones and to explain their significance -- in their era. Our era may have different (and we think terribly skewed) views about these things. That does not change the past. In any case, anyone in Archaeology or related disciplines who can not see the woman's bosom clearly carved on this stone should examine whether they have the skills of observation necessary to accomplish the interpretative task at hand. Similarly, any person in law or in a judicial or related capacity who has "moral" or "legal" problems with these decipherment images -- taken straight out of the human past -- should surely reconsider their positions. They would, in any case, be confirming the correctness of the decipherment, since the interpretative images are all tracings of the stone. Either the subject matter portrayed is there or not. If the image we suggest is there, it is not ours, but rather that of the ancients. There is no need on our part to make any kind of extensive commentary. The matter is so simple that we can not imagine anyone not getting it. 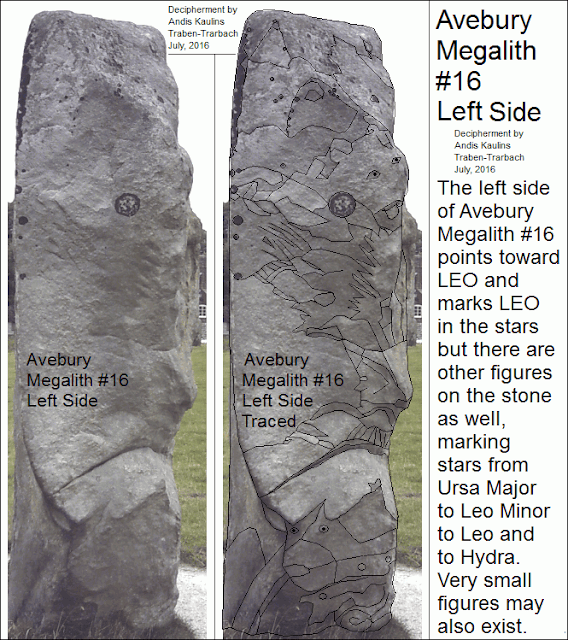 Indeed, we have posted several variations of the resulting traced image above to show that our interpretation of the stone and the corresponding stars is correct. The Avebury Stone #16 Henge Outward Face portrays the head and bosom of a woman as God made her. The ancients "drew" this image in the corresponding stars and put it to stone through their megalithic carving. It is Virgo. 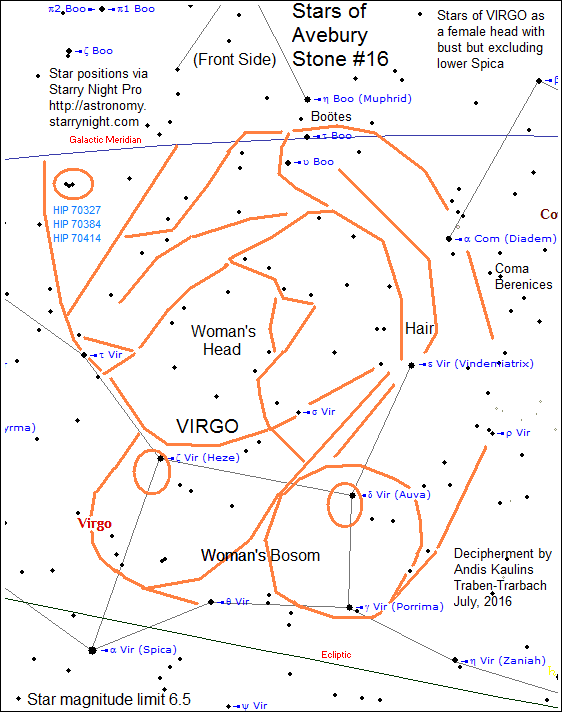 The ancients surely placed Virgo in the stars at a position nine months removed from the position of Gemini, the twins, in order to mark the nine-month gestation period of a human being. The cosmology of the ancients was based on the actual realities of their life in their era. They would be have been negatively puzzled by the modern world and its attitudes toward the most natural of things of human life and existence. Puzzled. Moreover, they would have been astounded by the failure of those who research, study and/or view the stones to see this particular figure carved on the stone. "Survival" is always a watchword and remains a biological necessity that drives humanity in many of its daily affairs. However, our contemporary human world must ALSO deal with the truly significant problem that mankind's understanding of our role in the universe has simply not kept pace with technological advance. On the one hand, humanity thinks we "know" MORE, and yet, on the other hand, the truth is that we might even "know" LESS than our ancestors. Consider our astronomical decipherments of the megalithic systems of Stonehenge and Avebury and what they tell us about a comparison of the lives of Neolithic (Stone Age) mankind with our lives today. The Stone Age ancients were demonstrably and understandably awed by the starry sky of the galactic night and even mapped their own Earth accordingly -- as was taught for millennia by hermetic tradition - as above, so below. This reverence of the starry night skies by ancient skywatchers led to cosmological belief systems in which the ancients placed their deities -- their "gods", as it were -- in those starry skies above them. Their belief systems made sense -- in their era. They all knew the stars in the skies and thus Heaven was where they placed their gods. The underworld in turn was viewed as the realm of the vast oceans, while the volcanic innards of the Earth gave rise to fiery notions of Hell. The ancients thus created a logical connection between their visible world and their belief systems. Moderns have established little connection between reality and religion, which has created enormous difficulties on Earth between rival religious groups, all professing belief systems not capable of proof. "Belief" has accordingly become "absence of fact" rather than reflecting "what is known". No modern belief system today can be proven, and is merely an act of faith. Many today know virtually NOTHING about the stars, about THEIR galaxy, or the space beyond, and yet, their professed gods are still seen to originate in a sky that modern astronomy has shown to be far different than envisioned by ancestral cosmologists or theologians. A massive factual discrepancy now exists. The ancients devised a logical system based upon a world that they could view in their time and that they could represent readily in stone -- with the technology then available. It was all that they had. No paper, no pencils. No Radio. No TV. No smartphones. People carved their message into the rocks around them, long before they learned to "paint". Painting was a later technological "advance", first in pictures and then in more abstract symbols. Abstraction is a modern invention. Rock carving is old. Theirs was a much, much simpler world than ours. Mankind was in some ways THEN much more in tune with the "basics" of human survival as also with natural events and happenings on Earth -- much more so than we are NOW. Step outside and look at the sky. How many stars can you recognize? Indeed, due to city lights and environmental pollution, how many stars can you even see? Just what did it mean THEN and what does it mean TODAY to BE human? What ARE some of the BASICS of human life and being human? Did we not all begin our lives being weaned on a woman's breast? That's basic. In ancient days, a female bosom was not a "pornographic" exposure. Rather, it was NORMAL, and essential to human survival. It marked THE BEGINNING of LIFE AFTER BIRTH. Women were important. Indeed, they always have been. How we got to the present situation is a strange tale of misplaced conceptions of human morality and religion in a world nevertheless dangerously over-populated by over 7 billion human inhabitants. They all got here pretty much the same way. Talk about a massive gap between morality theory and reality. That's it. In many ways, our modern world is OFF TRACK. We need to get back on the right path again. We need to learn to appreciate the BASICS of LIFE again. Not a woman's bosom is "offensive", but -- in our view -- the evening news IS OFFENSIVE -- to the human spirit, to the way the Earth could be, but is not. That is our prelude to the next posting at Avebury Stone #16 Whose Henge Outward Face Marks Stars of Virgo. That song is the galactic finale and designed to make the listener "stand tall". Music is of course personal and emotional and everyone reacts differently to given music, nor can we make any guarentees, but Ode to the Stars can make a person stand up, tall and proud just to be a human being in our galaxy. When the song is completed, you could have a smile on your face. On the other hand, some people have been moved to tears. This is a must have for all galactic inhabitants. The label Isandis is combination of the artist's first name Andis with the first name of his first wife Isa, i.e. Isa+Andis. It seemed liked an obvious name, but we have found that many people read instead the term "Islandis", inserting the more familiar term "island". Everything has to be researched, even the giving of names.... Who could know? Music of the Stars is Synthesizer Music of the Earth and the Sky by Kaulinsium. The CD-ROM is 56.29 minutes. The Composer is Andis Kaulins who also does the Keyboards (yes, we know, the songs need professional mastering). These songs were all created in a home environment using basic consumer equipment. The Genre is Indie (Independent) Alternative Music. Copyright © 2004 by Andis Kaulins in Traben-Trarbach with all rights reserved. Consumers can copy and play these songs for free for private non-commercial use. For terms of commercial use, please contact the copyright holder. Classical Piano Music Lovers try Track 10. Our own favorites are Tracks 1, 4, 11, 8 and 21, but some of the others can grow on you. Composing music is one of the most fun activities we have ever done and we like to think we have a few "catchy" tunes. Music is personal. We claim this music can make you smarter. Such is their design. One critic wrote to us to tell us how we could improve the songs. Our answer, "See, smarter already!" Click on the link to hear that song on your media player. If you like it, tell us. If not, switch channels.